Is it a fruit? Is it a vegetable? Who cares! They’re delicious! Who doesn’t love a ripe, juicy tomato, right off the vine!? Growing tomatoes is fun for the whole family and easy if you know how. 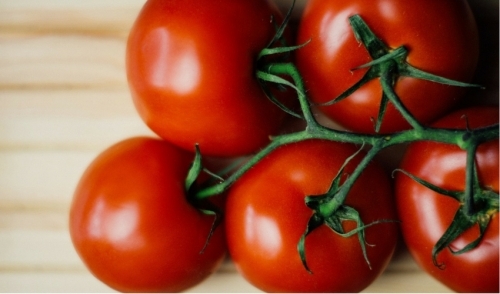 Here is what you should know about home grown tomatoes. Blooms: Blooms seasonally as the plant develops. These blossoms turn into the fruit of the plant. Hardiness: Look for heat tolerant varieties as we go into the heat of summer for a second round of crop. Treat these plants as annuals. Toxicity: The stem and leaves of the plant contain solanine which is toxic to pets. The fruit itself is ok as long as it's ripe. Water: water daily when we go through spells with no rain. Soil: Loamy, well-drained soil with a slightly acidic pH is best. Calcium is a necessary element needed for tomatoes, I recommend using Fox Farm Strawberry Fields soil as it has calcium built into it, making it a wonderful soil for veggies like tomatoes and peppers. Whether you want to grow tomatoes because your grandfather or dad did, or because you want to teach the next generation what it takes to grow your own food, tomatoes are a great place to start. Even if you want to grow some just for yourself, tomatoes are easy to grow if you start with the soil and work up. A good base for planting will always lead to success. A happy garden leads to a happy gardener.